The "major" deal HTC CEO Peter Chou was set to announce today has been announced early. HTC is investing around $300 million into Beats Electronics, and as part of this deal HTC will have exclusive rights to implementing Beats Audio into their future phones. HTC have not specified what phones, except it will include future ones. So you should expect this to come as part of their future android phone releases. Don't get me wrong, it's great news for HTC fans, it just isn't massive news when rumours about a 10" Sense tablet and even a Nexus phone were flying around, it's a bit of a let down. However, sound was one area where HTC were seriously behind, so this will help make them competitive with regards to sound on their android phones/tablets. 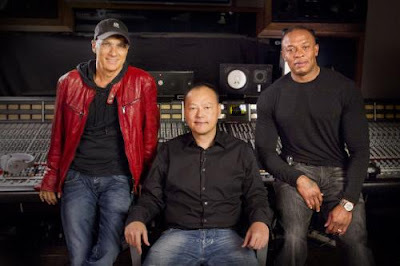 â€œThe HTC and Beats by Dr. Dre partnership is an opportunity for two world-class companies to redefine the smartphone industry and define the future,â€ saidÂ Jimmy Iovine, chairman of Beats by Dr. Dre and chairman and CEO of Interscope Geffen A&M Records, which is a division of Universal Music Group and a stakeholder in Beats. â€œFor Beats by Dr. Dre, this represents a critical step in our continued mission to clean up the destruction of audio caused by the digital revolution and reengineer how sound is delivered, so the consumer feels the music the way that the artist intended.â€ HTC and Beats have been working together to create superior mobile audio experiences for consumers, which will result in a line of HTC devices integrated with Beats sound innovations, available this fall. "Beats has found a unique way to harness popular culture in a manner that is unlike any other brand today," said Peter Chou, CEO of HTC Corp. "Itâ€™s an exciting brand that has been built around providing something very special, and we believe our strategic partnership will provide customers with unbeatable sound on HTC phones. We obsess over every detail of a consumerâ€™s mobile experience, and audio is a critical part of that experience." HTC is known for unifying content, services and devices into unique mobile experiences. And Beats is known for its unique consumer brand appeal and ability to reproduce the full spectrum of sound captured in professional recording studios, allowing consumers to hear music the way the artist intended. Bringing these two great brands together will create superior mobile music and sound experiences while accelerating HTCâ€™s entry into the youth and accessories markets globally. "Our customers have clearly responded to Beats and HTC, and Best Buy is proud to feature their products in our stores," said Brian J. Dunn, CEO, Best Buy. "We are committed to offering innovative and entertaining technologies that help consumers enhance their lives. Our customers expect that from us. The unique HTC Sense experience and the great sound of Beats provide prime examples of that focus."